Manufacturer of a wide range of products which include boxer shorts, mens short, beach shorts, bermuda shorts, boxer underwear and mens boxer shorts. The best quality of Boxer Shorts is offered by us to customers in bulk. The offered Boxer Shorts are available in the market in bulk in various sizes. The offered product range is appreciated among the customers across the country due to their elegant look and eye catching designs. Further, we make sure to deliver the best quality products to customers and satisfy them in all possible manners. Products range offered by us to customers is available with flawless finishing and customized packaging. We are a company known to maintain high standards of quality and efficiency in all our offerings. With our long and rich experience in the field, Sudharshaan Impex is able to offer a wide collection of Men Shorts. Our product are designed from the optimum quality fabric & best techniques. 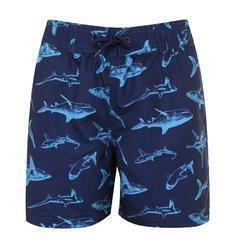 With our long and rich experience in the field,Sudharshaan Impex is able to offer a wide collection of Beach Shorts. Our product are designed from the optimum quality fabric & best techniques. Delivery Time: 12-15 working days from the date of approval. We are among the prominent names in industry for manufacturing and exporting a wide variety of Men's Bermudas. These comfortable Bermudas are best suitable for the exercises and sports. Packaging Details: 12-15 working days from the date of approval. 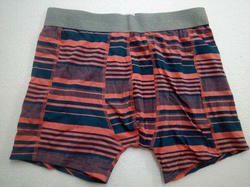 In an endeavor to give our clients desirable range of Boxer Underwear, we work as per their requirements. Being a prominent organization of the industry, we offer quality assured Boxer Underwear in the market that looks highly attractive and stylish. Our offered products is developed using the supreme quality of raw material. Products range offered by us to customers is available with flawless finishing at reasonable rates. Widely popular for its innovative designs, the offered range is available in soft fabric so as to meet the customers' preferences better. Moreover this range can be availed using best packaging materials. Packaging Details: Single piece poly bag or set of six packing. Fabric : 100% Cotton - Single jersey ( Bio wash ). Color : AOP fabrics or stripped or plain colors. GSM : As per customer choice. Pattern : Shorts with rope model. Port of Dispatch: jurisdiction tirupur .door delivery. Delivery Time: 10-12 working days from the date of order confirmation. Packaging Details: Single piece poly bag or Set of five in one master poly bag. Sudharshaan Impex presents highly durable range of Mens White Boxers, which is available in various sizes. Our product are designed from the optimum quality fabric & best techniques.